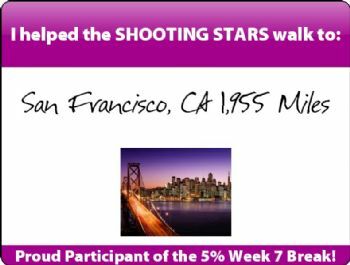 Yes, I am proud of it, and I am proud of the Shooting Star Team Mates who walked with me!! Terrific Ute! See what team work does? You know your inspiration keeps a lot of us moving to keep our goals. We thank you for that! Danke! Good for you, in both senses!